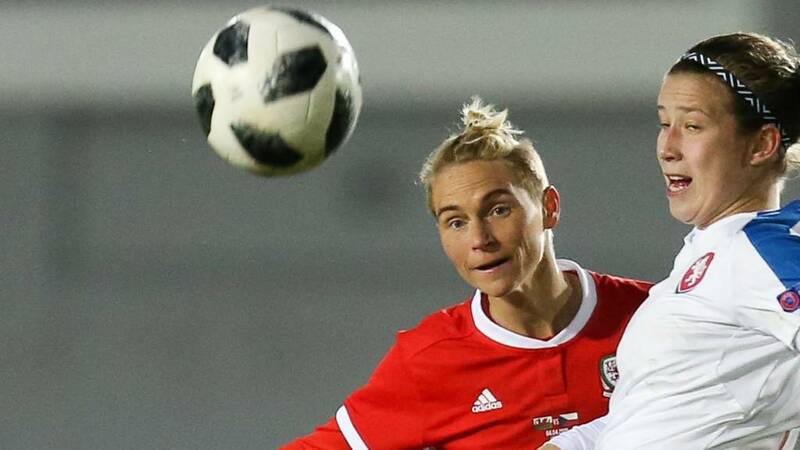 Wales defender Loren Dykes will become just the second player in Welsh football history to reach 100 international caps when she faces the Czech Republic on Thursday. The 31-year-old balances playing at the highest level for her country and for WSL side Bristol City with coaching the Wales girls under-15s. A few days after the death of her father, Sophie Ingle took to the field to help Chelsea reach the semi-finals of the Women's Champions League. The Wales captain opens up about the support she has received from her teammates and how football has helped her cope. Chelsea won the first leg 2-0 before a dramatic injury time goal in the second secured their place in the last four, a game Ingle says "her father would have loved." Ingle is expected to play in Wales' friendly against Czech Republic on Thursday. Just over 12 months ago Elise Hughes was a promising defender seeking her debut for club and country. Now a key member of boss Jayne Ludlow's Wales squad and featuring as a forward rather than in defence, Hughes is no longer dreaming of her breakthrough. For her club the 17-year-old scored the winner in the Merseyside derby, a huge moment for a player from "a family of Blues". And for her country Hughes was named as Wales young player of 2018 as she switches from defence to attack as seamlessly as Gareth Bale once did. What a year it has been. Read more here.